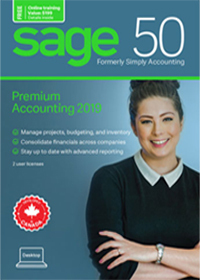 Simply Accounting Software Premium 2019 maximizes growth potential with advanced Accounting Software and sales analysis tools to help businesses - including those with multiple locations or companies - make fast, informed decisions. 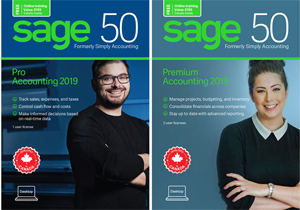 Advanced Accounting Software and sales analysis tools give owners and managers a 360-degree view of their business while a full-time audit trail helps ensure Accounting Software integrity. 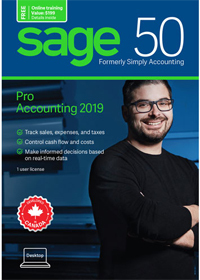 Simply Accounting Software by Sage Enterprise 2019, 5- or 10, 15, and 20 -User helps established businesses boost productivity. Features include multi-user capability, role-based security settings, and serialized inventory. Word and Excel integration requires 32-bit versions of Microsoft Word and Microsoft Excel 2007, 2010, 2013 or 2016.